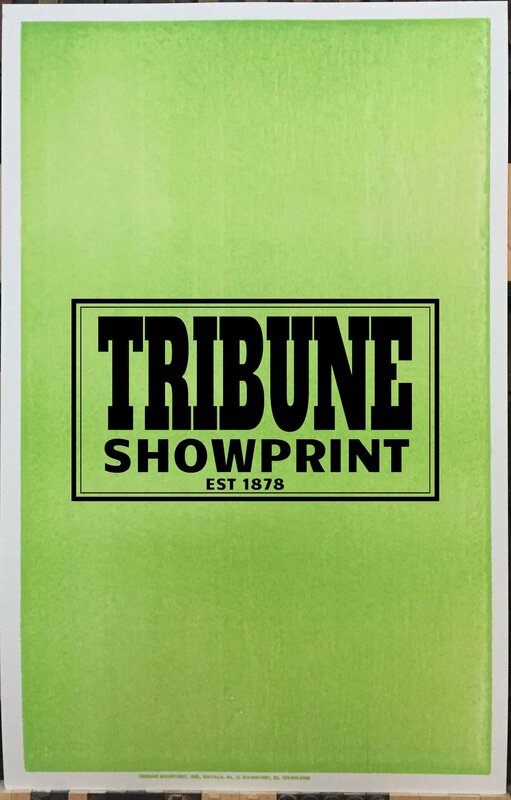 Tribune Showprint has been printing posters for nearly a century. Our Posters are printed on durable cardboard stock with waterproof ink. All of our posters are hand set, and printed on our 100+ year old presses in Muncie, IN. Give us a call 574-943-3281 or fill out the form below and, let us work with you to design a poster for your event. Use this box to describe things you want highlighted on the poster, such as headliners, disclaimers etc. We can have custom plates created for you, if you select this option we will send you an email reqesting the image. Thank you for requesting a quote, we typically respond with in 1 business days. We are open from 8:00am - 5:00pm Eastern Time.